If you’re planning on hiking in the early spring or fall, you need the perfect gear that can handle a light rain. The same goes if you’re hiking in the summertime, when a sudden pouring rain may ruin all your gear for good, though. So, shortly said, when you want to play it safe and minimize any problems, don’t hesitate to put your money at stake and get waterproof clothes and gear right from the beginning. There are many good daypacks out there that can take a light rain as they’re made with water resistant materials. 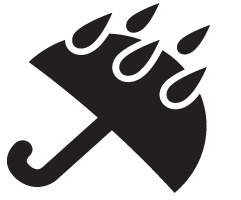 This means your belongings are somehow protected from few splashes or water. In case of a pouring rain or a heavily storm, you’d need a lot more than a water resistant daypack. Water resistant isn’t the same as waterproof and you need to realize that the more you’re paying for your daypack, the higher the waterproof grade may be. But it’s not only the waterproofness of the material that makes a daypack good enough for your hikes. You also need it to be well made, good build and to present all sorts of features that increase your comfort on the move, without sacrificing on the functionality. A good daypack is lightweight, comfortable and durable, offering you many storage spaces and efficient organization. A good waterproof daypack though does everything as the previous one, but with a twist: it keeps all your belongings nice and dry in the strongest storm. 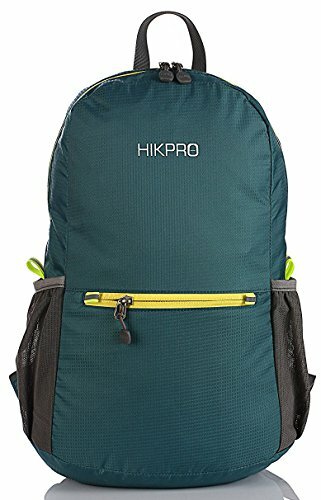 If you’re determined to get a good waterproof daypack, but you’re kind of short on the budget, take a leap of faith with the Hikpro 20L Ultra Lightweight Packable backpack. The backpack looks cool and it’s versatile so you may use it for the daily errands or for your short hikes. You get plenty of storage space and the backpack comes with 3 zippered compartments, one outer smaller pocket and one zippered pocket on the inside. The main pocket is large enough to fit bigger items, whereas the two large mesh pockets may be used for water bottles. 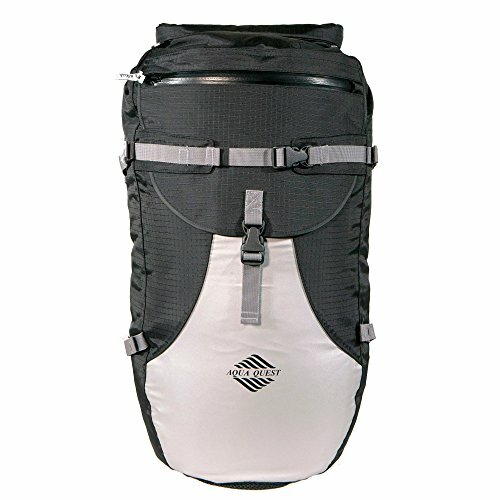 The backpack has a 20L capacity so it’s a great size for the short hikes. It’s made with good quality water and tear resistant nylon and it’s ready to take a beat. The zippers are made with abrasion resistant SBS metal so match the durability of the daypack. They don’t get stuck and work smoothly every time. The build of the pack is good and it’s reinforced in more than 14 places with Bar tack process, becoming tougher like this. The shoulder straps have nice padding to increase comfort, but they’re quite durable so you don’t end up all soaked wet when carrying the daypack all day long. The daypack washes well and comes in many pretty colors. It packs very small into a pocket so it’s highly portable and easy to store. All in all, the daypack is versatile, dependable, with plenty of storage space and takes a heavy rain, which is impressive considering its price tag. 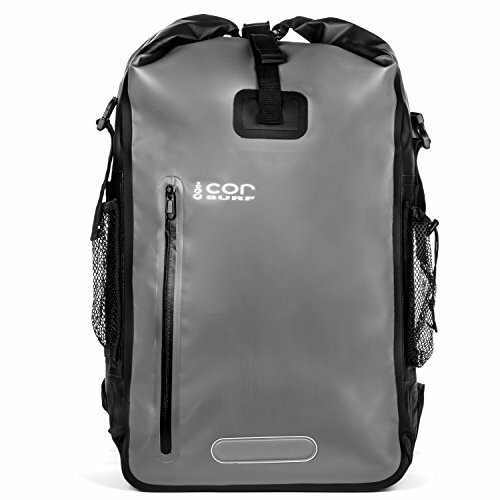 Ready to float with everything you have inside, the COR Waterproof Dry Bag Roll-Top Backpack with Padded Laptop Sleeve is one waterproof pack that doesn’t disappoint on many levels. The pack is large enough for a multiple days trip and features a roll-top 100% waterproof. It floats nice and safely if you drop it in the water, which makes it ideal for all sorts of watersports. Surprisingly, the pack also features an interior padded laptop sleeve so you may carry safely your laptop. The large internal zip size pocket features a window so you may easily take a peek at your personals. The front zipper is also water resistant and keeps at distance dirt, sand, dust, and water. The one-of-a-kind high frequency welded build is made with 500D PVC Tarpaulin. In case you’re new in this, tarpaulin is a flexible and water resistant material that is very often used for this type of gear. The back panel and the shoulder straps are well padded, increasing your comfort and the lumbar support also. The air-flow design is effective so you don’t feel strain in the back, no matter how loaded you are. The highly reflective patches on the front and both shoulder straps make the pack highly visible, increasing your safety while on the move. Comfortable, waterproof and reliable for the watersports, the pack is one heck of waterproof daypack. Giving the waterproofness and the comfort it provides, the pack is a great choice for anyone, especially considering its price. Some may say that the Aqua Quest Stylin 30L Waterproof Dry Bag Backpack is a bit bigger for a daypack, but we’d say it can perfectly fall in the category since it only has a 30L capacity, after all. The pack is 100% waterproof as it’s made with tough and abrasion resistant 420D rip stop fabric, to which we add the TPU lamination and DWR coating. The stress points are double bar tacked and the seams are heat taped and all of these details turn it into a durable, rugged waterproof pack. The contoured shape and the adjustable straps provide good comfort. The pack features shoulder, chest and hip straps that are padded for easier use. The air-mesh back panel is soft and has good ventilation so you finish your day hike all dry and cool. The front zip pocket is splash-resistant ad the front sleeve pocket lets you easily access your small personals. The fully reflective front panel makes you and the pack highly visible and the attention to the details is great. The pack fits a 15-17” laptop and comes with many pockets. It’s quite comfortable and has a great size. It also floats in case of anything and it has a nice design as well. All in all, for a fair price, you get a waterproof, well-organized and nice looking backpack that doesn’t disappoint. Giving you stellar water protection, the Ortlieb Velocity Backpack has the perfect capacity for a daypack and the right waterproof grade that protects amazing your items on any heavy storm. The backpack has a great design, contouring to the shape of your body, which makes it ideal for cycling or hiking. Its looks are special though and you may also take it when commuting. Additionally, its color makes it highly visible which is always a good thing. Even though it doesn’t show it, the backpack has foam backing that provides comfort and effective ventilation as well. The shoulder straps are also well padded, whereas the waist and chest straps keep the backpack tight to your body. This way, the weight is evenly distributed and the strain on your back and shoulder is minimized. The main compartment is large and you may protect your items with the roll-top with Velcro closure. The little key pouch is a nice detail and you may use the padded sleeve for your laptop. The backpack also features a carrying handle which makes it more versatile and portable in multiple ways. Well-made and looking so cool, the pack gives a good fit even to taller guys. Whenever you’re willing to pay the extra buck for an impressive waterproof daypack, don’t hesitate to give this one a go. Even though you may feel like paying the extra buck, the Boreas Echo Pack is a great investment to make if that fits your needs. The pack has a waterproof construction and features a roll close waterproof skirt, keeping your gear and belonging safe and dry the whole time. 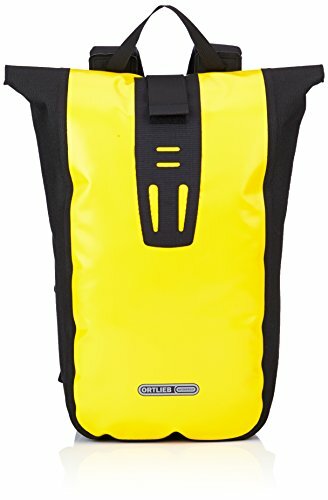 It features draining side pockets for the wet gear and an external span pocket for more versatility. The double hull construction is efficient and keeps your gear dry no matter how much rain you run into. The high quality suspension system increases your comfort when on the move and the pack is great for hiking, camping or any other outdoor activity. You may use the pack for both dry and wet gear. The hidden daisy chains help you secure the pack when hiking, but you may also use them for clipping more gear. The molded EVA foam back panel minimizes strain on your back so you may travel/hike for hours, in a comfortable way. The shoulder straps are also padded and the sternum strap is easy to adjust for best fit. Not only this strap secures your load, but it also sustains the better balance of your load. Giving 1 zippered top pocket, 2 side pockets and one hydration sleeve, the pack is a great choice as a waterproof daypack. 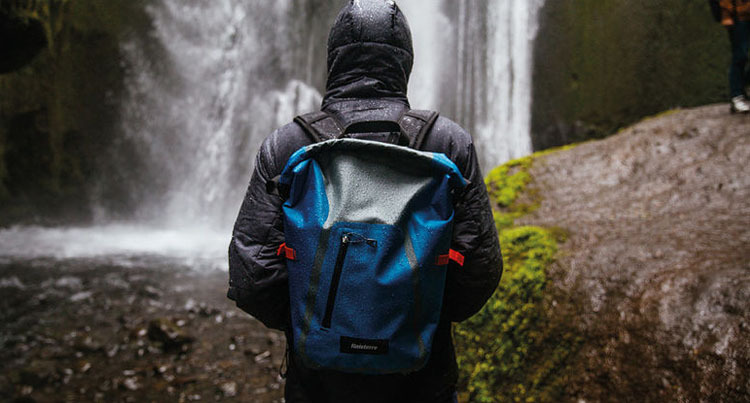 Regardless of the flaws, we still think the pack is one waterproof option that is worth every single penny, even though they’re quite a few.